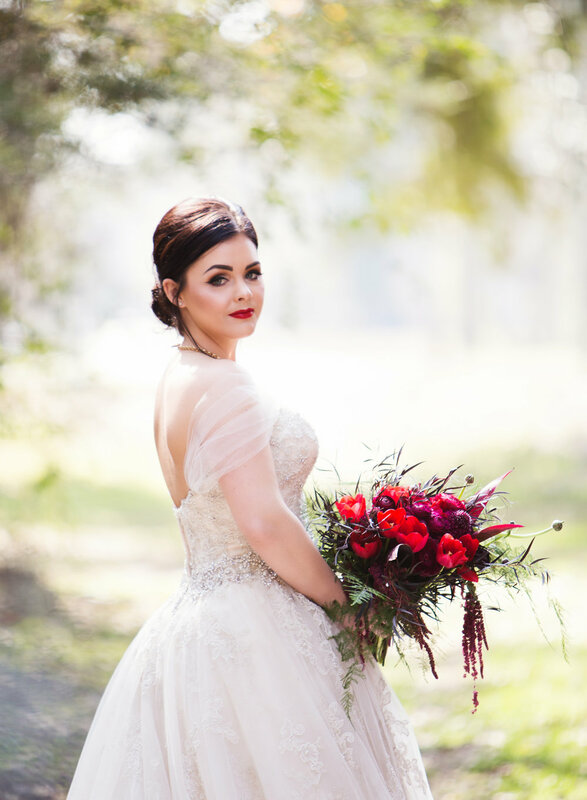 Caitlin’s Southern Louisiana Plantation bridal shoot is a must see! 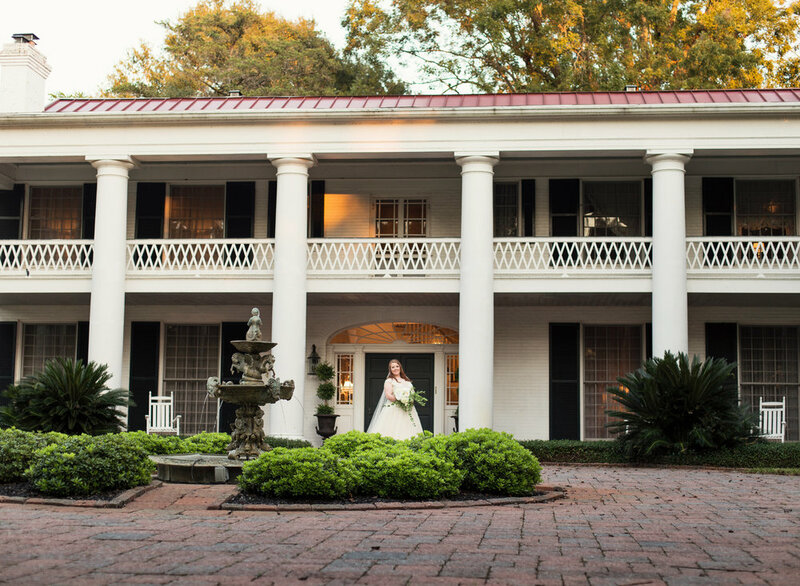 We headed to Rosedown Plantation, nestled in St. Francisville. Caitlin’s sister, mom, grandma, and daughter took the road trip with us just to be together for this special session. Rosedown was established in the 1830s. It’s now a gorgeous 374 acres with a Great House, large live oak trees, and pleasure gardens. 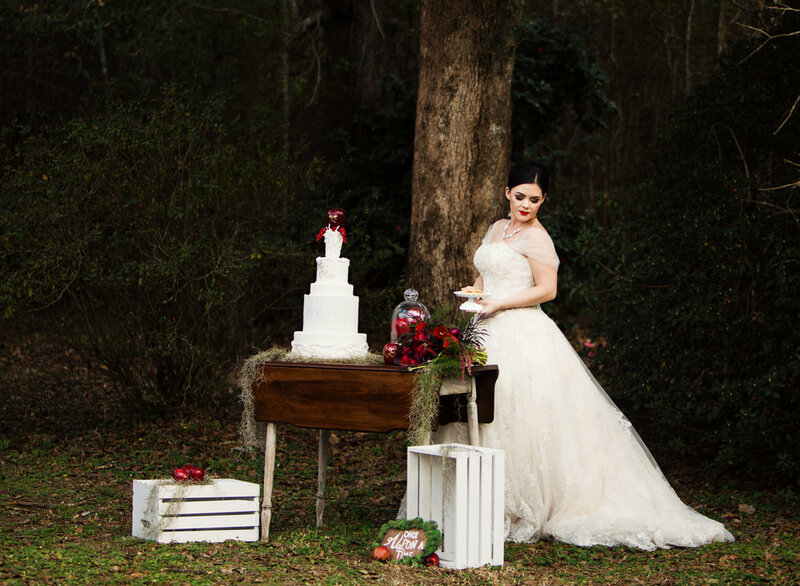 We strolled around the plantation and captured these gorgeous images. Caitlin looked absolutely stunning in her gown and veil. I am literally obsessed with this dress. I have a stock photo of it saved on my phone. Why? I don’t know. It’s just so stinkin pretty. 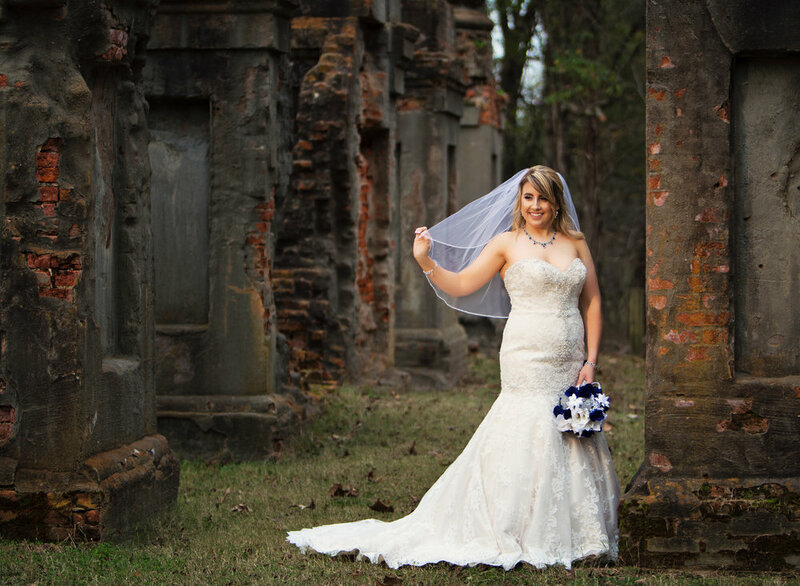 Caitlin and her husband, Jesse, celebrated their wedding in Jena, Louisiana this past Saturday. Their daughter, Henley, made a special appearance for her bridals and the wedding! She is the CUTEST! Caitlin, you are stunning, my friend. Caitlin & Jesse’s wedding was so much fun! Be on the lookout for their wedding photos soon! "Remember you’re the one who can fill the world with sunshine." Last summer, a group of local vendors and I started collaborating on a stylized photoshoot. These are such a unique creative outlet and a wonderful way to see a vision brought to life. 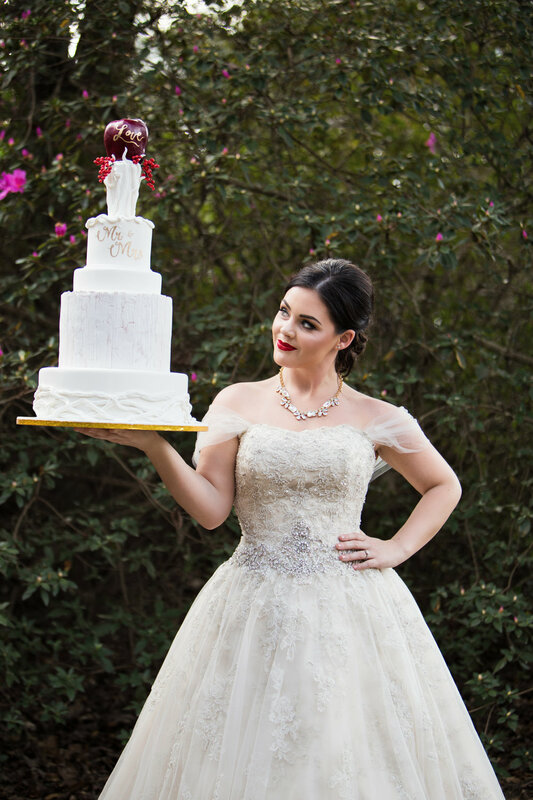 Our plans were sadly halted by a major flood in Baton Rouge, ruining the wedding gown & most of the props. But, we didn't let that stop our dream! Months later we were able to join together again and move forward. On February 5, 2017, we headed to a private residence in Denham Springs. Everyone showed up ready to work & make magic. All in all the shoot lasted about 7 hours and involved a lot of work, and even more laughs. We had everything from cake, to décor, to hair & make-up, to stationary, and more. Look out for these images to be featured soon in Southern Celebrations Magazine! Each bride chooses her details for a reason. Drawing out her beauty & personality is always my number one goal, but I love capturing the thoughtfully chosen elements in a way that tells a bride's story. The best part?! 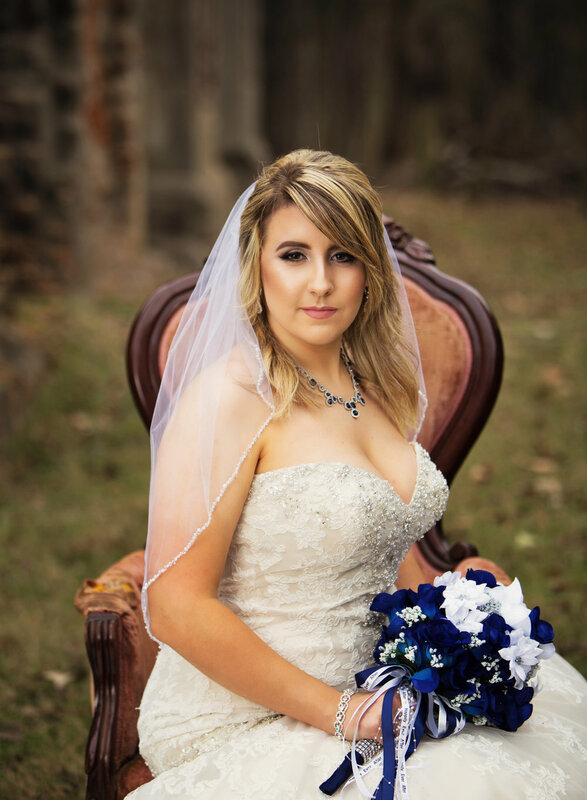 Mon Cheri recently shared the shoot over on their blog! Talk about all the happy chair dances. I'm thrilled to have showcased the dress in a way that makes the designer proud. How incredible are these intricate details? 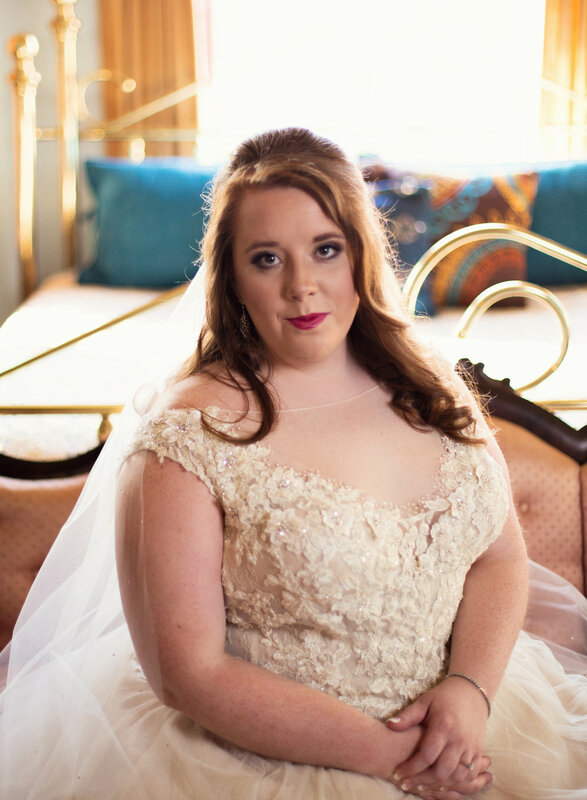 We love bridal sessions around here, and Megan's was *to die for. 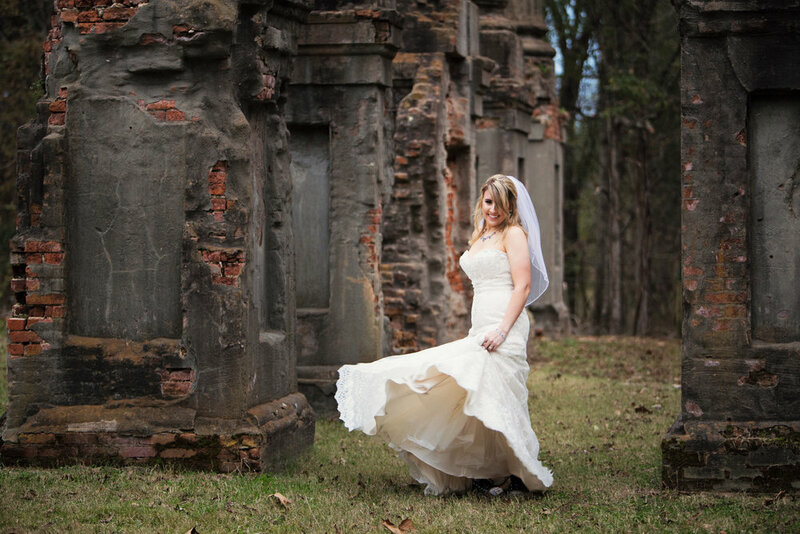 * There was only one spot worthy of her gorgeous Kenneth Winston dress: the Windsor Ruins. 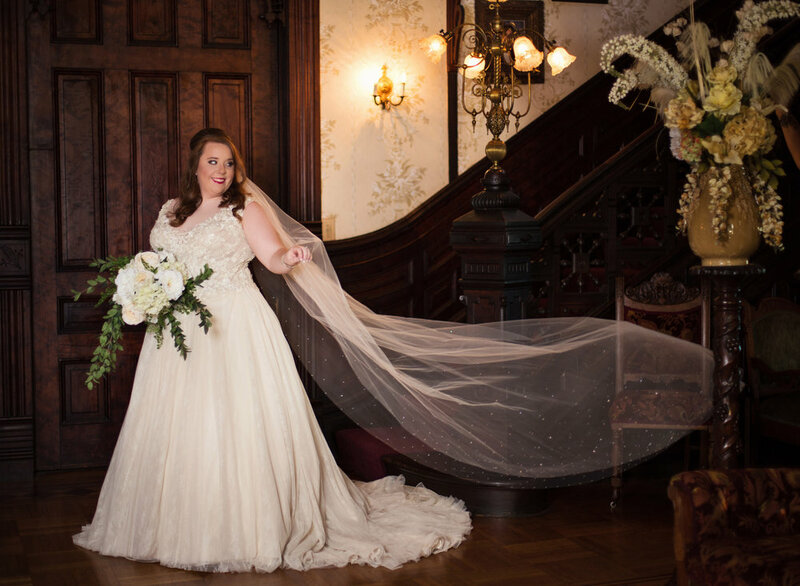 Nestled 4 miles east of the Mississippi River, this historic location beams with beauty and elegance, just like Megan! I tried to warn you... seriously stunning. These ruins are pure magic. And speaking of magic... Those two images were taken exactly two minutes apart, and have minimal Photoshop editing. I changed my off camera flash and camera settings to turn day into night (*magic!*). I love using this trick to make dramatic portraits for my clients! Megan & Chad are HUGE car enthusiasts! I photographed them with their cars for their engagement session, and of course we included their Camaro for Megan's bridal portraits! I got to crank it while photographing the wedding, and let me tell you - that baby can purrrr! I photographed Megan & Chad's wedding this past weekend, and it was incredible! I promise you've never seen another wedding like it. I can't wait to share the wedding images with you! 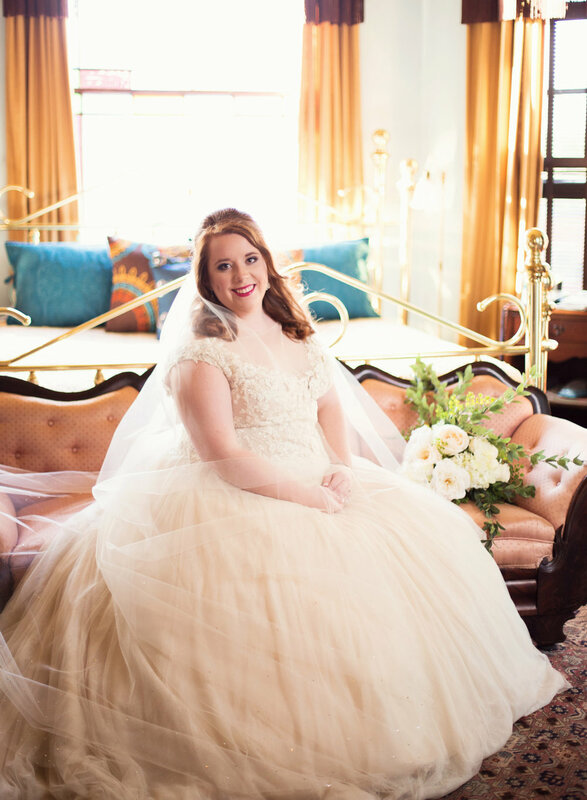 Hannah married her prince charming this weekend, and I'm so excited to finally share her beautiful bridal portraits! 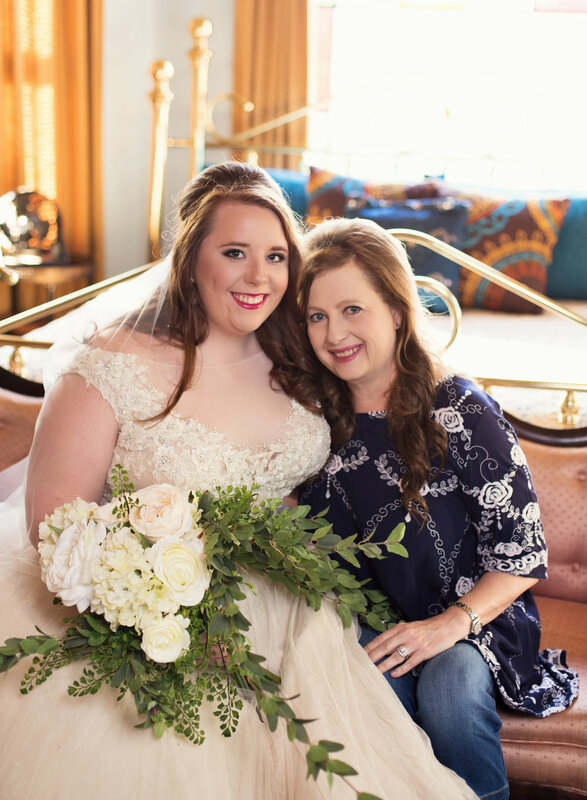 We started her bridal session in the historic Logan Mansion, an 1897 Queen Anne Victorian home located in the heart of Shreveport. Legend says that it's haunted by a little girl, and we did hear some strange noises while we were there! Is it haunted? I guess you'll have to go see for yourself! We then traveled to CedarCroft Plantation in Greenwood for sunset portraits. CedarCroft is one of my favorite wedding and portrait venues because the large property has countless options for photo locations. I've been several times and I've still only photographed about a quarter of the property! Hannah, thank you for letting me be a part of your wedding story. Your wedding was amazing and I can't wait to finish your photos! 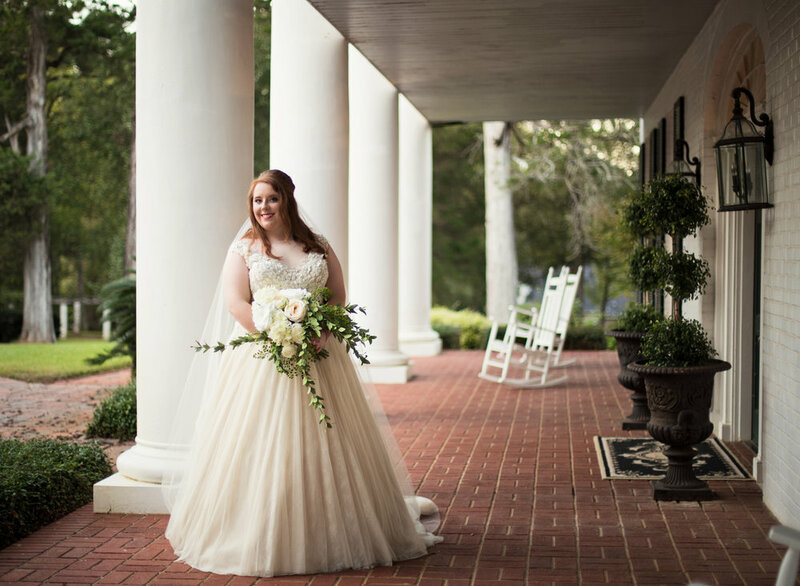 Now that Emily and Cody are off to the Bahamas after their gorgeous lakeside wedding, I am very excited to finally share Emily's Bridal Portraits! 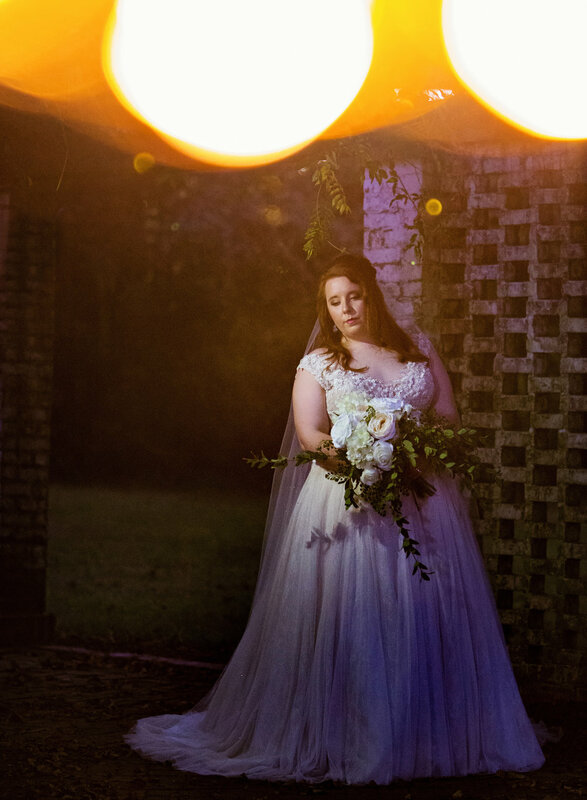 Emily chose Creekwood Gardens in Simsboro, Louisiana for her Bridal Portraits, and it was the perfect venue for her earthy, natural style. Don't you love her flower crown? She made it herself! I made this flower swing just for Emily's Bridals. I'm pretty proud of it! Emily, you couldn't take a bad picture if you tried. Emily and Cody, I can't wait to finish and share your wedding images! Thank you so much for choosing me as your wedding photographer.